A couple of years ago, I became aware of author and adoptee Matthew Salesses via some tweets about a writing/blogging project he was embarking on called This Is Not About #Adoption (a Tumblr which has since been emptied of its posts—I hope because something new is in the works). I thought of that sentence—this is not about adoption—often as I read his new novel The Hundred-Year Flood. The story follows a Korean-American adoptee named Tee on a fantastical journey from Boston to Prague and back again. As the tale begins, the fact of Tee’s adoption seems to be a minor characteristic of his identity, one that a reader might not give too much thought. This is not a story about adoption. It is about a young man in an old city far from home who becomes entangled there with an artist, the artist’s wife, and the artist’s longtime friend. Tee’s story of Prague is set against the many myths its inhabitants share and a great flood that washed through its streets in 2002, the kind of flood that happens only once every hundred years or so. We learn early on that Tee often glimpses the limbs of a ghost. He spies a glowing leg in a crowd of people, a glowing heel heading up some stairs. It is the shape of a woman, and he feels compelled to follow her. He gets a job at a bookstore, where he meets an American girl and begins to reveal himself to her, as he concurrently reveals other pieces of himself to the artist and his wife. Prior to coming to Prague, his uncle—his father’s brother—had committed suicide, and Tee had learned that for many years his father had been having an affair with his aunt. The burden of needing to unpack this new knowledge is an impetus for his journey. His parents’ marriage is in shambles as Tee stumbles headfirst into new, complicated relationships of his own. But this is not about adoption. As there are so few Asians in Prague, his Asianness is what people first notice about him. No one sees him as American at first glance. Tee wants to be recognized as American, but as Korean as well, though Korea is a place he has deliberately avoided. Everyone asks him why he chose to relocate to Prague rather than Korea, and it is in these passages when Tee grapples with his foreignness that we begin to understand how being adopted is more than just a footnote to the development of his character. Because of his adoption, Tee is himself something of a ghost. He has grown up knowing that his birth mother died, that his father specifically chose him to adopt. But as he investigates his memories in light of the recent revelation about his father’s character, he discovers questions he has likely carried inside of himself all along for which he is now compelled to find answers. 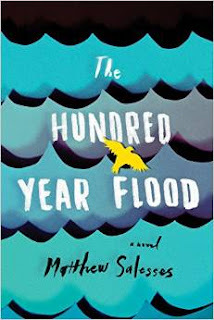 The magic of The Hundred-Year Flood takes place in the reader’s subconscious, through suggestions that hover beneath the surface of the story line, similar to the way a poem leads through its language to a kind of epiphany. This story that is, at first, not at all about adoption transforms into an adoption legend, nurtured by the mythology of its setting (which I’m glad I looked up). I don’t want to give away too many more details, lest I ruin the expansive revelation that unfolds. Just as in real life for many adoptees, adoption is not the main focus—until, in fact, it is. 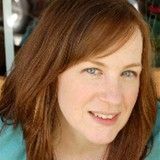 Matthew Salesses is a previous guest contributor to Lost Daughters, in a post on Reactive Attachment Disorder to which I also contributed.